A fresh weeknight meal that’s ready in 15 minutes. Cook the tagliatelle. 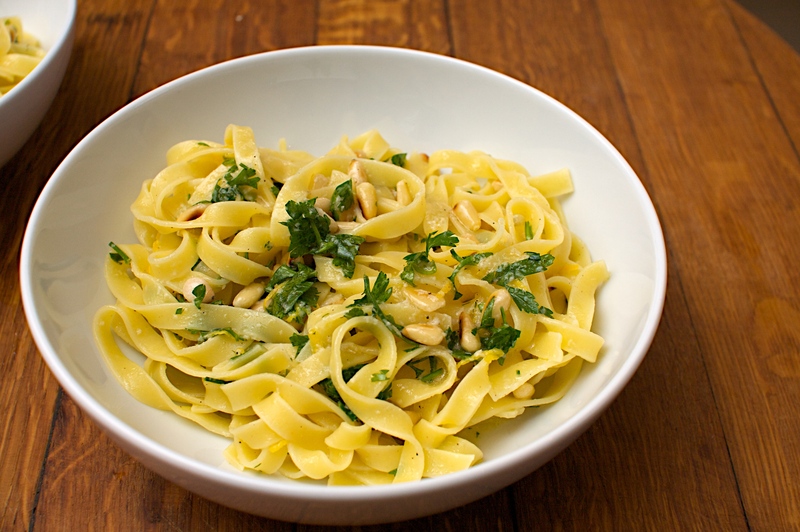 Mix the lemon juice and zest, pine nuts, pecorino, 2 tbsp olive oil and parsley and season really well. Drain the tagliatelle, reserving two tablespoons of the pasta cooking water. Tip everything into a bowl (including the water) and toss. Wine Suggestion: Go for a light Italian white such as a Friulano or Verdicchio.